Like any piece of mechanical equipment, your air conditioner needs to be properly maintained to run efficiently. Proper maintenance can increase the lifespan of your AC unit by years, saving you thousands of dollars. By having our certified Longmont AC maintenance technicians survey and maintain your AC system, you’re lowering your energy bill, and preventing your system from breaking down unexpectedly. For 15 years, we have been providing our quality air conditioning services to Longmont, and keeping people’s systems running smoothly. Whether you just need a quick filter replacement, or a more complicated repair, our technicians are prepared to handle any issue. 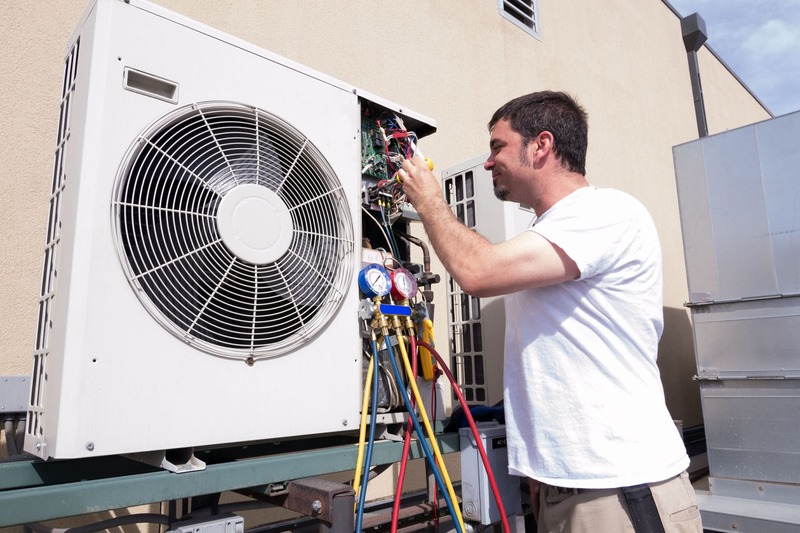 Providing you in only the best in AC Maintenance and services to make certain that your air conditioner is brought up to proper standard any and every time you give us a call. Most homeowners neglect to keep their ducts, and AC maintained properly. Nearly all the air in your home passes through your air ducts at some point. If not properly cared for, you can end up breathing in dust, and allergens inside your own home. Dirty, clogged vents can prevent your furnace and AC system from effectively doing their jobs, and can raise your heating and air bill. By having A&E Comfort Pros here in Longmont come inspect your AC and ducts, you can breathe easy, knowing that your HVAC system is running at maximum possible efficiency. With over a decade of experience, we know exactly what you need in Air Conditioning repair and maintenance. Whether you’re looking to really bring on the cool in your Denver metro area home or business with a new HVAC system, or just looking to bring your current unit up to the standard you need, A&E Comfort Pros here in Longmont are here for you and yours. Providing you the comfort you deserve for years, and years to come. When it comes time to replace your home’s air conditioner, call A&E Comfort Pros here in Longmont, and we will make the process simple and painless. As a Lennox dealer, you’ll know that our high-quality air conditioning units will keep your home cool during Colorado’s hot summers for years to come. At A&E Comfort Pros, we make replacing your air conditioner easy. And with 24/7 service across Longmont and the surrounding Denver metro area, we’re always available in case of an emergency. Have Your AC Serviced Today! Don’t wait, reach out to A&E Comfort Pros and ask about our wide range of air conditioning services in Longmont. Call today at (970) 888-4263!